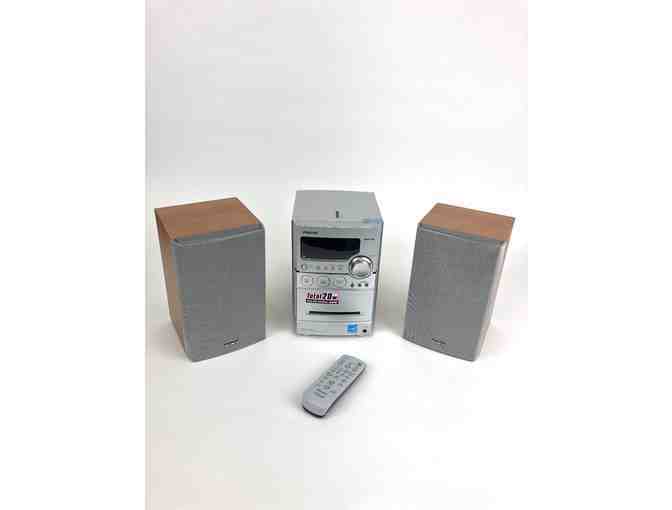 Rock your retro with this mini stereo system that plays cassette tapes, CDs and plays back MP3's. Also includes AM-FM radio. Wake up to music, set an alarm, record your own mixed tapes. 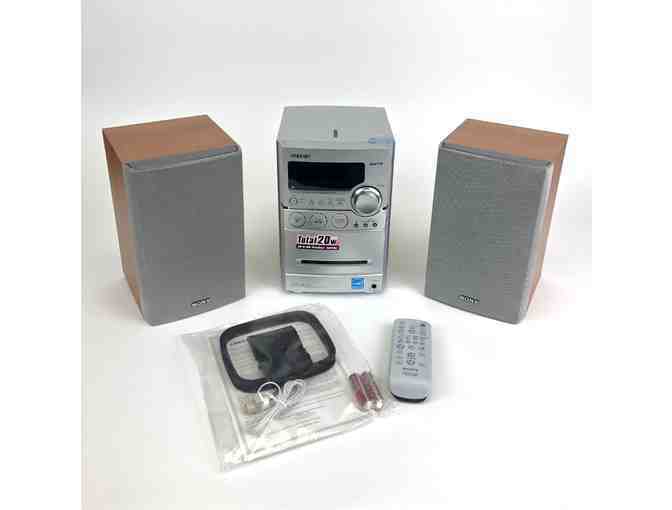 Includes indoor antenna and remote control.